An Independent examination of the evidence against global warming available in the published, peer-reviewed literature, examined without bias or selectivity. IN THE NEWS Statement of Dr. Patrick Moore, Ph.D. (ecology), co-founder of GreenPeace, before the Senate Environment and Public Works Committee, Subcommittee on Oversight, February 25, 2014. "There is no scientific proof that human emissions of carbon dioxide (CO2) are the dominant cause of the minor warming of the Earth's atmosphere over the past 100 years." Moore further states: "The Intergovernmental Panel on Climate Change (IPCC) states: "It is extremely likely that human influence has been the dominant cause of the observed warming since the mid-20th century...But upon further examination it is clear that these numbers are not the result of any mathematical calculation or statistical analysis. They have been "invented" as a construct..."
"When former skeptics cite melting habitat as the reason polar bears are now threatened, you know the global warming debate is over." - Sen. Joe Lieberman Is it indeed? Remember the Hockey Stick Graph used by the IPCC? A prime piece of evidence linking human activity to climate change turns out to be an artifact of poor mathematics according to the MIT technology review. What are Climate Change Credits? Summary: The Climate Stewardship and Innovation Act of 2005 (S.1151) introduced jointly by Senators John McCain (R-AZ) and Joseph I. Lieberman (D-CT), would limit (beginning in 2010) the total greenhouse gases (Predominantly read: "Carbon Dioxide" the gas we exhale, and which is critical to maintaining plant life on this planet) emitted by the U.S. electricity generation, transportation, industrial, and commercial sectors to the amount emitted in 2000 in response to a global warming crisis which has proven to be a hoax. The affected U.S. commercial sectors represent approximately 85% of the overall U.S. emissions in the year 2000. The bill also would provide for the trading of GHG emission allowances and reductions. The most recent revision of Cap and Trade was a bill submitted by John Kerry and Joe Lieberman. According to a recent article published in the New York Times, the American Power Act of 2010, the most recent Senate version of the Cap and Trade bill, also described as a "carbon rationing scheme" has astonishingly been described as having been written by the British Petroleum (BP) Oil company. According to Senate Minority Leader Mitch McConnell (R-Ky.): "It's been widely reported that a major part of the Kerry-Lieberman bill was essentially written by BP. This is clearly an inconvenient fact: An administration that seems to spend most of its time coming up with new ways to show how angry it is with BP is pushing a proposal that BP helped write." Effect: The Climate Stewardship and Innovation Act bill will place a cap on the total emissions of greenhouse gases emitted by the U.S. electricity generation, transportation, industrial, and commercial sectors beginning in the year 2010 at the levels in the year 2000. These emissions limits will not apply to the agricultural and the residential sectors. Who Allocates these Credits? The U.S. Commerce Department would we expanded in its size and scope to oversee and determine the amount of allowances to be given away or "grandfathered" to producers of greenhouse gasses. According to Sen. John McCain, Early Allocation Of [Climate Change Corporation] Emission Permits will allocate permits to fund and enable the activities of a Climate Change Credit Corporation, the public-private agency that will oversee the cap and trade program. The U.S. Commerce Department would also determine the amount of allowances to be given to the newly established government agency, the Climate Change Credit Corporation which will be created and funded by the bill. The Climate Change Credit Corporation would use proceeds from the sale of credits (allowances) to producers of greenhouse gasses to "reduce energy costs of consumers", however, many authorities believe that the cost of these credits purchased by major producers of energy in some states (i.e. coal burning power plants) will significantly increase the cost of energy to consumers in these states. National Greenhouse Gas Database: The Administrator of the Enviornmental Protection Agency would be given expanded powers and would be required to implement a comprehensive system for reporting, and legal registration. Industries and producers of greenhouse gasses covered by this legislation would be required to report their emissions on an annual basis. A National Greenhouse Gas Database would be funded and created to measure and report emissions. Within one year of enactment of this bill, the Commerce Department, "would be required to establish, by rule, measurement and verification standards and standards to ensure a consistent and accurate record of GHG emissions, emissions reductions, sequestration, and atmospheric concentrations for use in the registry". Penalty: There are substantial penalties for not meeting emissions limits (a penalty the rate of three times the market value of a ton of GHG). Expanding and Growing Government: The Climate Change Credit bill also would further increase the size and scope of governmental agencies by expanding the U.S. Global Change Research Program, establishing an "abrupt climate change research program at the Commerce Department", and will establish a new program at the National Institute of Standards and Technology in the areas of standards and measurement technologies. The Cost of Cap and Trade: Cap and Trade is truly a hidden tax. "The Obama administration has privately concluded that a cap and trade law would cost American taxpayers up to $200 billion a year, the equivalent of hiking personal income taxes by about 15 percent" One congressman stated that "the additional tax bill would be at $366 billion a year, or $3,100 a year per family"
Receive a free video on how you can naturally enhance immune function with a raw organic milk product to help protect you against viral infection and improve your immune function! Urgency of this legislation: According to the Intergovernmental Panel on Climate Change, or IPCC, which shared half of the Nobel peace Prize with former U.S. Vice President Al Gore), this legislation is urgent. Their authors state that we may have progressed past the point of reversability in regards to climate change. However, the Non Governmental Internal Panel on Climate Change, an international panel of scientists and scholars who are not on governmental payrolls, and who have come together to examine the causes and the consequences of climate change, have a different opinion. Because the NGIPCC (not to be confused with the IPCC), is not a government agency, and because its members generally do not believe that climate change is caused by human greenhouse gas emissions, the NGIPCC offers a radically different interpretation of the evidence reviewed by the Intergovernmental Panel on Climate Change (IPCC). According to a recent report appearing in the Wall Street Journal, there are over 700 scientists (13 times the number of scientists who authored the IPCC) and who now are on the public record as disagreeing with the findings of the IPCC, and agreeing with the findings of the NIPCC. Additionally, 31,478 scientists (594 times the number of scientists who authored the IPCC) have signed the Global Warming Petition Project, urging the United States Government to reject the Global Warming Agreement written in Kyoto, Japan in 1997 and stating that there is no convincing scientific evidence that humans cause global warming. The findings of the report of the NGIPCC, "Nature, not Human Activity Rules the Climate" invalidate the principal IPCC conclusion that the reported warming (since 1979) has been caused by the human emission of greenhouse gases. The NGIPCC report concludes that increasing carbon dioxide (from human activity) is not responsible for inconsistent warming trends that have been observed. 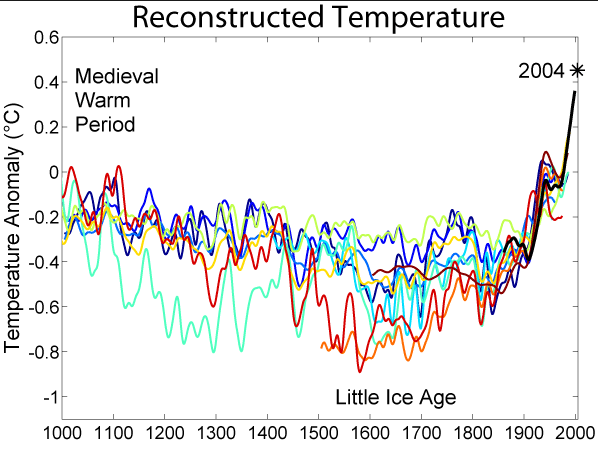 Additionally, the reliability of data used to document temperature trends is of great importance in this debate. We can't know for sure if global warming is a problem if we can't trust the data. And the temperature record data is suspect and unreliable. A recent report, "Is the US Surface Temperature Record Reliable? ", found that 89 percent of weather recording stations -- nearly 9 of every 10 -- are near artificial heating or radiating/reflecting heat sources, rendering the readings os 9 out 10 substations unreliable. Therefore, policies adopted and called for in the name of "fighting global warming" are patently and scientifically unnecessary, and will establish some of the most repressive taxes in the history of the United States. The urgency behind the public debate over climate change, fueled by the errors and exaggerations contained in the reports of the IPCC, has strayed from good science, and is driving currently proposed-- and absolutely unnecessary--legislation such as the establishment of the Climate Change Credit corporation's ( Cap and Trade) tax.